If you’re on the look-out for something special to take home for a loved one (or yourself) from your trip to Valencia, then look no further. You can buy all kinds of unique and interesting gifts not available anywhere else. No need to make a last minute dash into the nearest tourist shop selling plastic keyrings and magnets – just read on for some much more local souvenir shopping inspiration. If you know someone who’d love a real, handmade Spanish silk fan, Valencia is the place to buy one. The city, once part of the Silk Route, is known for its exquisite silks used in everything from traditional costumes to home furnishings. Get down to the Abanicos Carbonell shop in the Ruzafa district, which, while not cheap, stocks some of the most exquisite fans around. 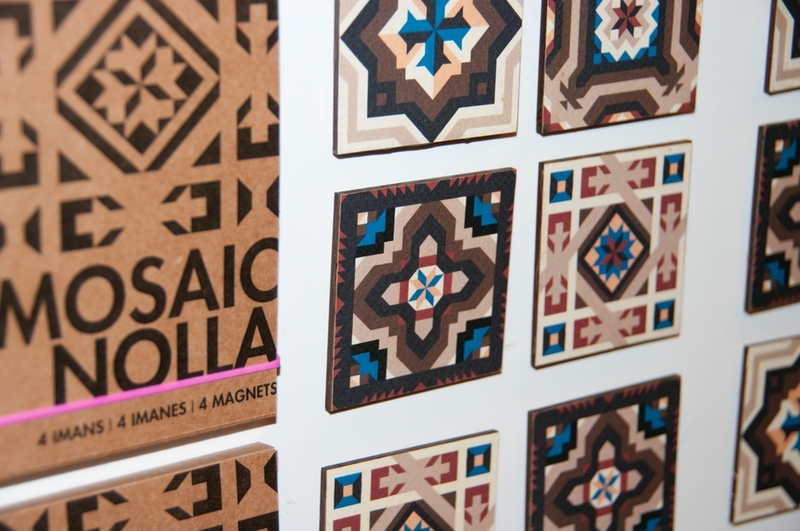 One of our favourites for local souvenirs is the Atypical shop in the Ciutat Vella (Old City) district. These really are not your typical tacky souvenirs, with cool, colourful designs based on local street art, architecture, ceramic tile patterns, and more. Choose from good-quality tote bags, magnets, mugs, posters and much more, adorned with their unique prints. Whatever you choose, it will be very Valencian indeed. You can browse the selection on their website. Your foodie friends will appreciate an edible (or drinkable) souvenir from Valencia’s fantastic market. The stunning 1920’s building is a must see on any trip, and you can do your souvenir shopping at the same time. Among the more than 1000 stalls you’ll find locally produced chocolate, Spanish wines and craft beers, and the best paella rice in the world grown right here in the Valencian region. The local football team’s shirt makes a great souvenir for football fans. 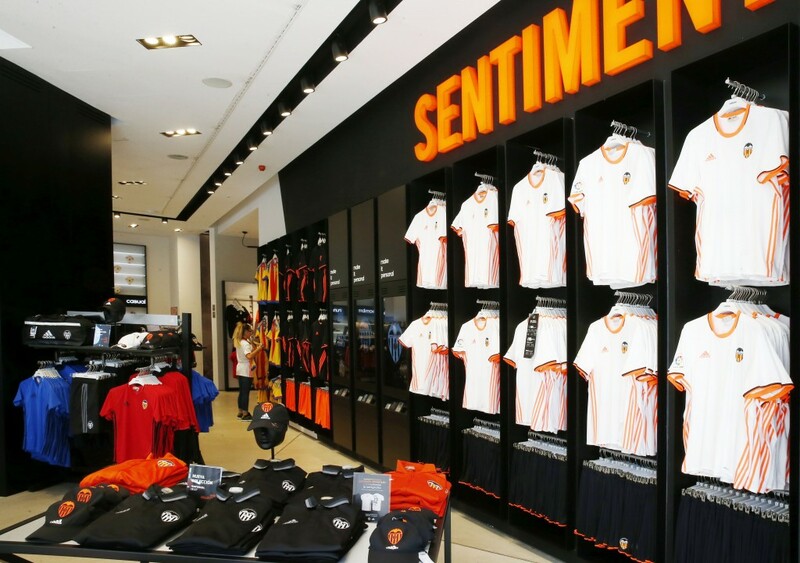 The Offical Valencia CF Megastore is found near the City Hall and stocks plenty of other merchandise besides. If you’re looking for a special and unique gift, browse the artisan craft stalls selling high-quality handmade jewellery, soaps and other gifts inside this glorious tiled modernist building south of the Old City. Plus downstairs there’s an upscale foodie shop selling fancy charcuterie, truffles, wines and olive oils. Plus there are plenty of chic cafes here perfect for a refueling stop. Valencia is world famous for its ceramics and, while there are no shortage of ceramics factory outlets outside the city, most visitors will be able to find a special souvenir at one of the stalls around Plaza Redonda and adjacent streets, and the shops inside and outside of the Central Market. Kids and teenagers will be delighted with the quirky, colourful gifts available from this very Spanish gift shop. It’s the go-to store locally for unusual Christmas and birthday presents and has unique items you won’t find back home, from novelty gifts to funky homeware and fashion accessories. There are various outlets around Valencia, including on the central Plaza de la Reina, or you can shop online. If you’re visiting Valencia in May – one of the best months to visit – check out this outdoor traditional artisan market where you can pick up some local cookware, pottery, decorations and other unique homeware items. The market lasts all month, on Plaza de la Reina, by the Cathedral.